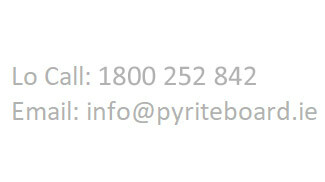 The Pyrite Resolution Board has, as of 1st of March 2019, received 2302 applications for the remediation of dwellings with significant pyritic damage. 91 applications have been refused as they did not meet the terms of the scheme. Note: A small number of applications have been closed for administrative reasons e.g. duplicates, withdrawn etc. As applications advance through the remediation process and new applications are submitted, these figures will be updated.